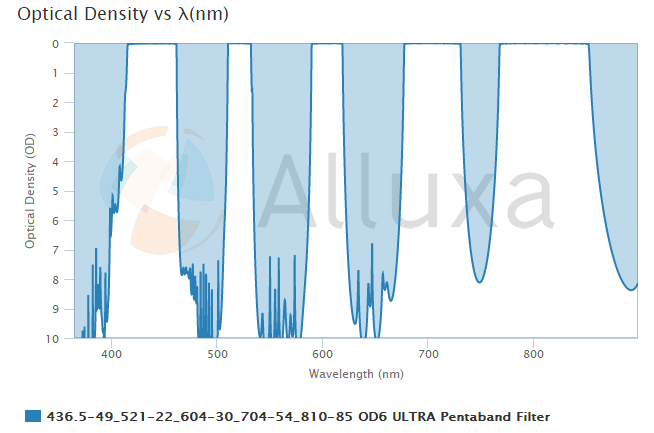 Alluxa's ULTRA Series of fluorescence filters are designed to provide the highest level of performance currently available for off the shelf products. 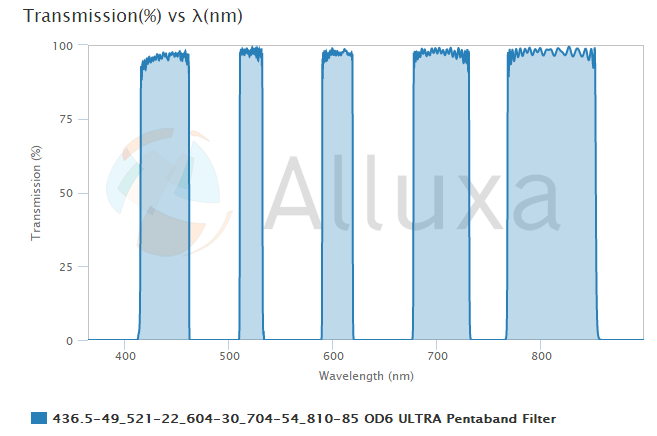 ULTRA Series filters provide better overall performance than our standard fluorescence filters by using a combination of tight wavelength control (typically ± 1.5 nm), ultra-steep edges, deeper blocking, and the industry's highest transmission levels. 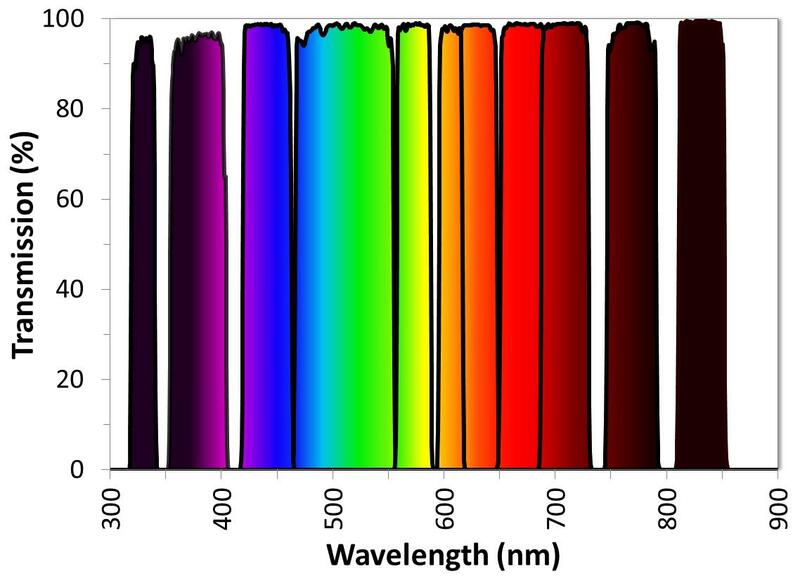 They are also specified to produce zero pixel shift when imaging multiple fluorophores. 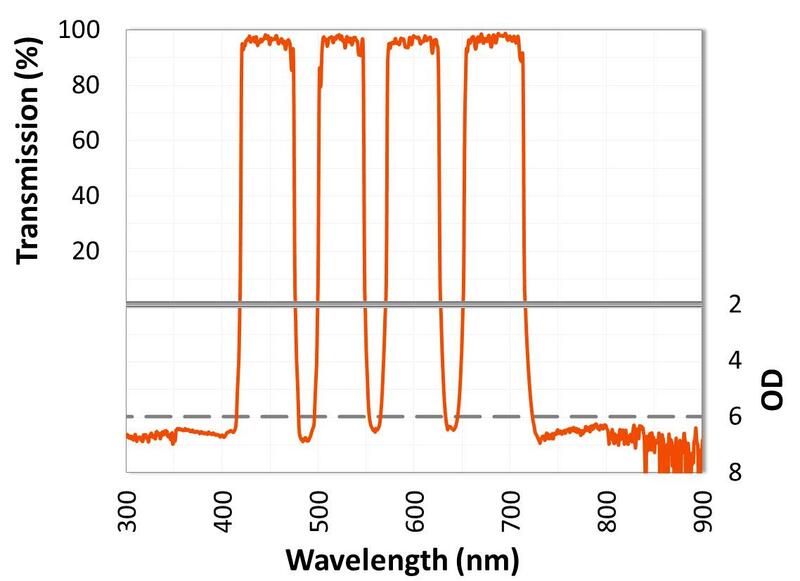 ULTRA Series filters will optimize fluorescence instrument performance, resulting in bright, high contrast images of target molecules. 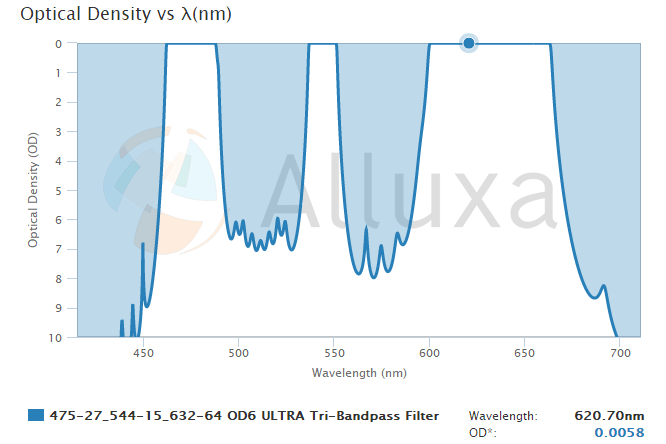 All of Alluxa's filters are durable and hard-coated using a proprietary deposition process. 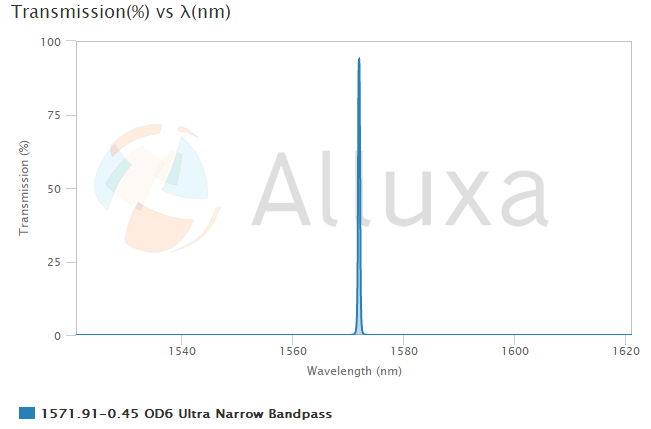 Ultra-narrowband optical interference filter with a 1571.91 nm center wavelength (CWL), a 0.45 nm full-width at half-maximum (FWHM), and wide-range OD6 out-of-band blocking from 800 nm to 1800 nm. This is a multi-cavity filter with transmission that is greater than 85% at 1571.91 nm. 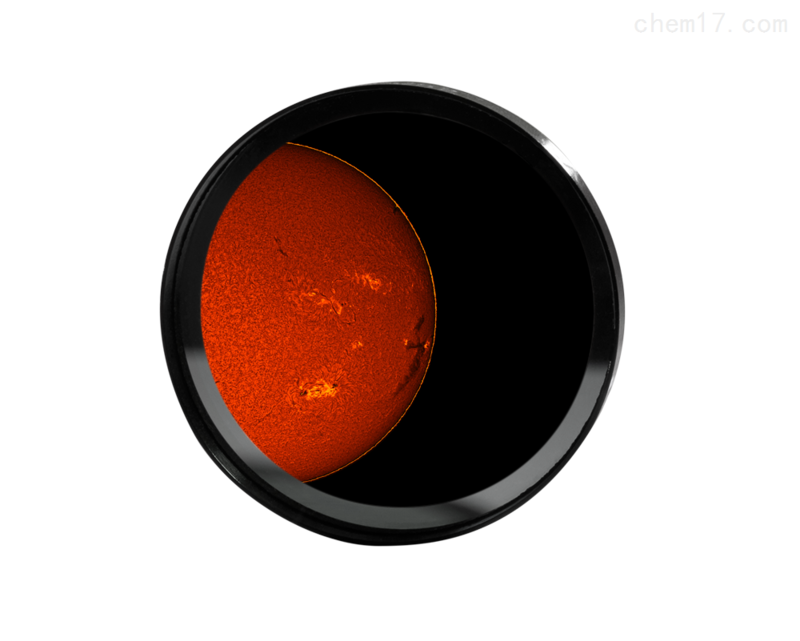 This unmounted ultra-narrowband filter is coated on a 5 mm thick fused silica substrate and is 38.1 mm (± 0.1 mm) in diameter. 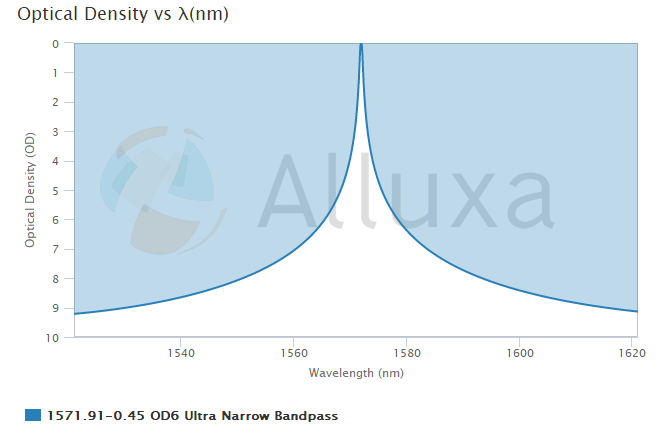 Alluxa ultra-narrow bandpass filters have the highest transmission and narrowest bandwidths currently available. 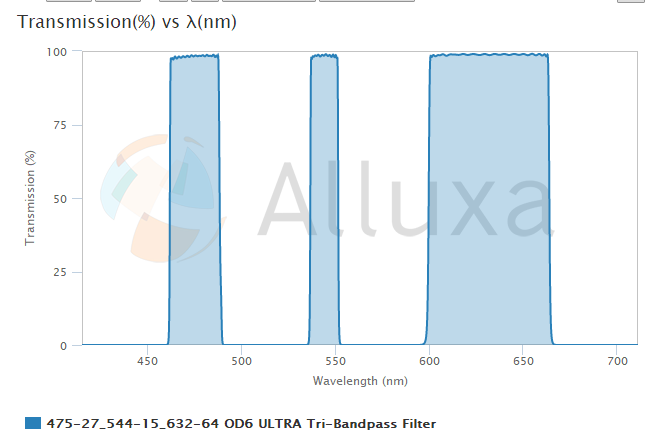 And because they are hard-coated using our innovative SIRRUS™ plasma deposition process, all Alluxa optical filters are highly durable and resistant to laser damage. Contact us for custom sizing options. 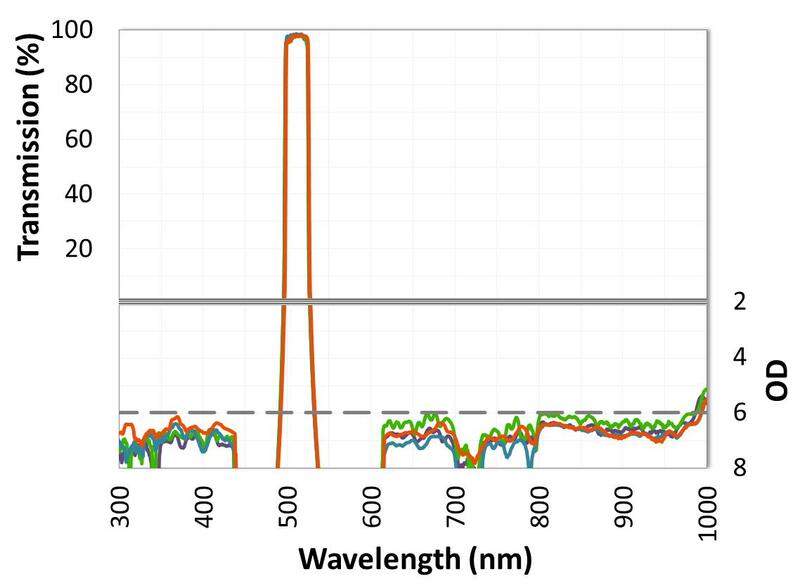 †For filters with less than 1nm bandwidth, measurement limitations may result in slight transmission variation. Please contact us for more inion.